Paul Rennick is Principal Lecturer in percussion at the University of North Texas where he has served on the faculty since 1991. Paul is a leading figure in the world of marching percussion and percussion education, with a long history of successful students and renowned performing ensembles. He has been a featured clinician and a guest artist worldwide, with appearances at National and International events for many top professional music organizations. Since 1989 Paul has written and designed the competitive shows for the 17-time Percussive Arts Society National Champion University of North Texas Indoor Drumline. He is also percussion coordinator for the Nationally recognized UNT Green Brigade Marching Band. Paul served as the director of percussion for the Phantom Regiment Drum & Bugle Corps from 2003-2010, winning the Drum Corps International Fred Sanford Award for Percussion Performance three times in five years (2006, 2008, 2010), and the DCI Championship in 2008. 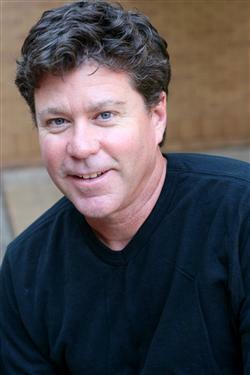 Paul is currently the percussion coordinator and arranger for the Santa Clara Vanguard Drum & Bugle Corps. Paul is also an active performer, appearing as a featured soloist with the UNT Wind Symphony on the DVD recording “Percussive Palooza,” and related showcase concert at PASIC 2008. He is also as a featured soloist on the University of North Texas Percussion Ensemble recording “Vespertine Formations” (2009). Paul is an artist and product consultant with Dynasty USA, and helped design the new “Custom Elite” snare drum, released during the Summer 2012.